To enhance your development as a leader, executive, professional or business owner, CEO Partnership uses a variety of assessments. These provide great new insights into your management and communication styles, your leadership strengths and potential blind spots, and how others perceive your capabilities in the organization. We also offer a variety of learning instruments, which provide you with insights on how you cope with stress, your work expectations, your innovation style and more. CEO Partnership maintains the most comprehensive assessment center in the Rocky Mountain West. If you are interested in gaining some new insights, or bringing an assessment program into your organization, give us a call at (888)804-COACH (2622) or (303) 838-1100. 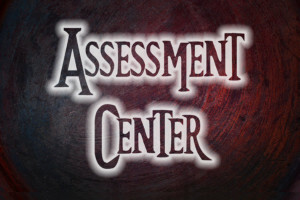 You can also email Dr. Laura at info@ceopartnership.com and put “interested in assessments” in the subject line. Hogan Assessment Systems — NEW !!! Team Diagnostic Assessment — NEW !!! Selection Series – Hogan Assessment Systems has developed the Selection Series of reports to provide employers with the data needed to make informed hiring decisions. Development Series – The Development Series of reports puts the power of personality assessment in the hands of those using the inventories. They have been specially crafted to minimize the need for expert involvement in understanding the results, and provide important insights for anyone interested in developing to their full career potential. Leadership Forecast Series – The Leadership Forecast Series is ideal for developing leaders and is an essential ingredient in identifying and growing future leaders. It provides an in-depth evaluation of leadership competencies, potential career derailers, and individual values. Hogan Business Reasoning Inventory (HBRI) – evaluates a person’s ability to solve problems and make business-related decisions using textual, graphic and quantitative data. The HBRI is the first measure of cognitive ability to be based on evolutionary psychology and designed exclusively to predict real-world performance. Teams produce results that individuals simply can’t, acting alone. Today the workplace is a maze of nested teams: intact, cross-functional, project, virtual – and the pressure is on teams to form, norm, perform and transform at an astonishing rate. The Team Diagnostic™ is a state of the art instrument, based on a proven model that defines the necessary strengths for high-performing, sustainable, inspired and motivated teams. The Team Diagnostic Assessment offers a practical way to measure the system that comprises the team, a comprehensive model that defines strengths teams need in order to succeed, and a new mindset that takes the focus off of individual team members’ one-to-one relationships, and focuses instead on the entity that is the team. Pricing: Please call Dr. Belsten for pricing – 303-838-1100. ECI, EQ-i and EQ Map – three instruments designed to help individuals assess their Emotional Intelligence, or their ability to sense their own emotions and those of others and use that information to manage themselves and their interactions with others more productively. The Emotional Competence Inventory (ECI) is a 360 assessment based on the work of Daniel Goleman ($135). Developed by Reuven Bar-On, the EQ-I can be administered either as a 360 or as a self-assessment ($95). The EQ Map is a self-assessment developed by Esther Orioli of Essi Systems($75). Designed to help individuals and teams understand the various approaches and behaviors associated with conflict so they may choose more productive means of managing it. Conflict is inevitable in the workplace and in life. It’s how it’s managed that can make all the difference. Thomas Kilmann ($55) and The Conflict Lens® ($125). approach to life, temperament, and degree of emotional self-control). of communication between the leader and others in the organization. plan that will set the direction for their professional growth. productivity during periods of organizational and personal change.